Leave a comment on THIS post by 6 p.m. CT Tuesday, June 2, 2015 to be entered in the DRAWING for a copy of the book below. Winner can choose a print copy or an eBook copy. If you mention in your comment that you’re a follower (see in the left sidebar “Join This Site” and “Follow by Email”), I'll add your name a second time in the drawing. U.S. mailing address required to receive a paper book. Read book giveaway details at Disclaimers. To provide you security, please leave your email address like this: johnATyahooDOTcom. Winner announced in next Thursday's blog post. 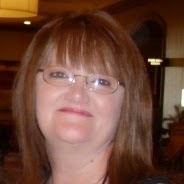 Debra Lynn Collins is an Amazon Best Selling Author. She was born and raised in Georgia, but moved to Gaylesville, Alabama after marrying her real-life hero, Steve, in 1981. She considers herself a Georgiabamian. Not only has God blessed her with a wonderful husband, but He's also blessed her with four wonderful children, and as of right now seven precious grandchildren. She’s also a member of ACFW. Welcome, Debra, if you could have dinner with one person from today or history (except Jesus) who would it be? I would have dinner with my daughter who passed away in 2000. To be able to see her smiling face and hear her beautiful laugh again, would be the best gift ever. I have tried my hand at many, many different kinds of crafts. Some were successful, and some weren’t. I love singing Karaoke. So much so, that my husband and I purchased our own Karaoke system a few years ago. Gatlinburg, Tennessee. There’s just something amazing about those spectacular and breathtaking mountains. Whenever we have the opportunity to get away for a weekend, you can always find us in Tennessee. Recently, it has been at the kitchen table or the end of my sofa. However, right now, I am in the process of converting a (now) empty bedroom into my office. 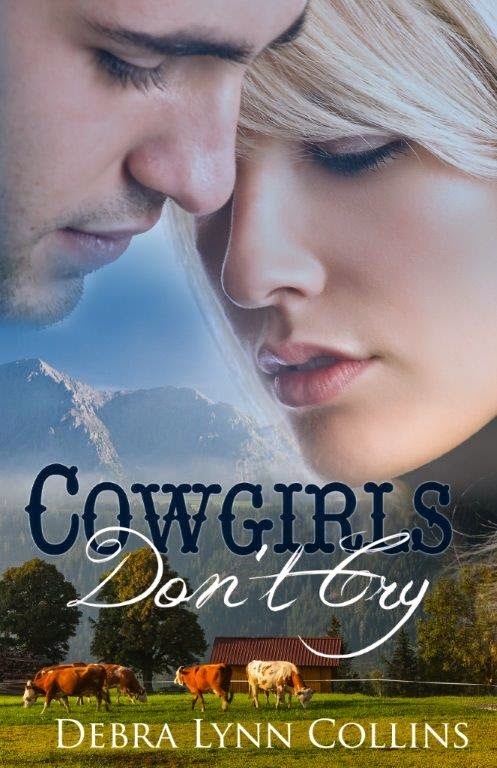 Please tell us a little about your novel, Cowgirls Don’t Cry. since her mother abandoned her family when she was ten, Sami has watched her father grow cold and bitter from a broken heart. The one question she cannot shake is: Where is God through all this? To her wounded heart, the only answer she can find is: He is not. As Sami gets to know Chase, her walls start to come down, which frightens her. Can she trust this man who seems so sincere? Or will he abandon her just like her mother did? After hearing rumors about Sami, Chase Townsend expected a “man-eater” of a woman, especially with a nickname like “Wild Cat.” Instead, he is stunned by the beauty with the sparkling blue eyes. However, Chase quickly figures out that something has happened to Sami, and he has to decide if he is willing to try to help her overcome her bitterness or if he should just let the “Wildcat” be. Because of Chase’s deep trust in God, and his strong perseverance streak, he makes it his mission to show Sami that God loves her, and only He can heal her broken past. Now that Chase has made it his business to witness to Sami, he finds himself falling in love. Will his heart be broken when Sami pushes him away? First and most importantly, I want them to know that no matter what we may go through in life, we have a God that CAN AND WILL always heal our brokenness and pain. Also, it’s my hope that my book will touch the hearts of the readers, and they will laugh, cry, and cheer Sami and Chase on as they find their way into each other’s hearts. Thank you so much, Jo, for having me on your blog, and giving me the opportunity to share a little about my book with your readers. You’re welcome and thank you for visiting with my readers. One of the commenters will be randomly chosen to receive a copy of your book, which you’ve offered. Winner may choose a print copy or an eBook copy. The winner of last Thursday’s blog post for a copy of Hard Country by Sadie and Sophie Cuffe is Deanne. I’ll email you. Thanks all for commenting. Watch for more book giveaways. Hey, Jennifer! ***waving*** It's good to see you again. How funny - I grew up in Alabama and moved to Georgia after marrying my sweetheart! Loved the interview! Elizabeth, We just switched roles, didn't we? That is funny :) Thanks! Elizabeth, glad you liked the interview. Thanks for commenting. NEED YOUR EMAIL ADDRESS TO ENTER YOU IN THE BOOK DRAWING SO IF YOU WIN I CAN CONTACT YOU. What a nice cover.. - God can & will! I like that! I enjoyed meeting you & would love to read this.. Thanks, Deanna! I love the cover, too. Lynnette Bonner designed the cover for me, and I think she did an amazing job! Jennifer, Elizabeth, and Deanna, I'm a little bit late to the party here. Thanks for leaving your comments. Thanks, Amada, and I'd appreciate the review :) Thanks for stopping by! Amada, glad you follow my blog! Thanks for leaving your comment. I enjoyed meeting Debra Lynn Collins today the interview was fun and informative. We spent our honeymoon in Gatlinburg. It sure is beautiful. I would love to have a chance to read your book it sounds great. Thank you for the opportunity. Deanne, glad you enjoyed the post with Debra today. Thanks for commenting. Debra, glad to have you visit with us. Good luck to all commenters in the book drawing! Paula, thanks for leaving your comment. Glad you enjoyed reading this blog. Thanks, Paula! We slip off to Gatlinburg every chance we get! :) Thanks for stopping by! I really enjoyed both of your books it has inspired to start reading again.Thanks. Donna, thanks for stopping by and leaving your comment. Donna, NEED YOUR EMAIL ADDRESS TO ENTER YOU IN THE BOOK DRAWING SO IF YOU WIN I CAN CONTACT YOU. This books sounds really good! I love a good story where the characters rely on God first and then help each other overcome hard obstacles in life! It does take time, but I love when you start to see a change in their hearts. It's wonderful to read about! Thank you for introducing your new book and for the chance to win a copy! Blessings! I am also a subscriber via email on both the newsletter and blog! Trixi, glad you remembered to leave your email so you're entered in the book drawing. I appreciate you following my blog and also subscribing to my newsletter! Trixi, Just like in life, if we fully reply on God, then everything will fall into place. Thank you for stopping by! I'm so happy for you, Debbie! I already have your books, but I wanted to congratulate you on your success! You're a wonderful writer, and I'm glad other people are now able to enjoy your stories. Debby, thanks for stopping by and leaving your comment. Aww, thank you, Debby, you're going to make me cry :) And, I think you're a pretty amazing author, too! Thank you so much for stopping by! I am intrigued by this book. Debra is new to me and I am thrilled to have a new author to read. Thank you for this opportunity! Miss Jo, you know I am a follower! Thank you for the great job you do! Melanie, you're welcome. Glad you've found a new author to you on this blog. Thank you for following my blog and for your kind words! Just came back from my honeymoon in Gatlinburg back in April! It is a beautiful area to visit. Thanks for the interview ladies and the giveaway. I look forward to Sami's story. Patty, you're welcome. Congratulations on your recent marriage. Thanks for leaving your comment. Congratulations, Patty! Gatlinburg is the prefect honeymoon spot :) You and Deanne have something in common, she spent her honeymoon there, too. I hope you enjoy Sami and Chase's love story. Thanks for dropping in and leaving a comment. Allie, thanks for coming by and leaving your comment. 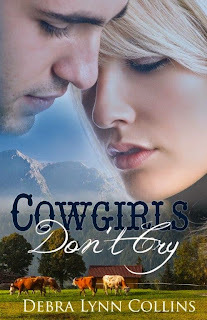 I would love to win a Print copy of the book, "Cowgirls Don't Cry". It would be a wonderful addition to the Church Library. Hi Library Lady! Thank you so much :) I appreciate you stopping by! Debra, your book sounds so good. I like the fact he wants to witness to her. I go to Pigeon Forge and Gatlinburg too. Good luck with the "Cowgirls Don't Cry"
Thanks for a great interview Jo! Pamela, hahaha. Thanks for following my blog and for leaving your comment! subscriber of yours. Thank you both for the giveaway. GOD bless you both. Maxie, glad you enjoyed the interview with Debra. I appreciate you following my blog! Thanks for leaving your comment. Thank you so much, Anonymous, for your kind words. I'm so sorry for your loss. My precious daughter was 18 years-old when the Lord called her home. Also, it was one week before her wedding day, too. We never know what we may have to face in life, but as long as we have the Lord by our side we will make it through. Thank you so much for stopping in and leaving a comment! I would like to say, Thank You, to everyone who stopped by. I enjoyed every single comment each of you left. & Thank you, Jo, for having me as a guest on your blog. I had a blast!! !